How safe is the house buying process in France? The more I hear from friends and clients about the trials and tribulations of trying to buy and sell property in the UK and other countries around the world, the more I appreciate how regulated, fair and relatively un-stressful the French system is. 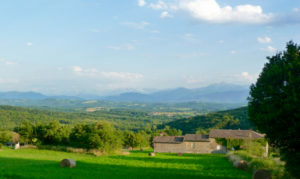 In France, a vendor pays for the basic tests to be carried out on a property before it is officially put on the market. These include tests for electrics, gas, asbestos, woodworm, termites and natural risks such as flooding and earthquakes. These are done so that both parties are aware of any work required to bring the property in line with current regulations, not for the seller to have to make these good, purely so that the buyer knows the situation with the property before they make an offer so there are no nasty or unexpected surprises. The process is then very straight-forward; an offer is made and a deal is agreed, the contract (Compromis de Vente) is drawn up by the Notaire (or Notaires), each party signs, the buyer puts down a deposit and only then does the Notaire begin the searches and proceed with all the expensive legal work. There is no such thing really as gazundering and gazumping and almost the only reason a sale might fall through would be if the buyer failed to secure a mortgage in which case, there would be a ‘clause suspensive’ allowing them to pull out without penalty. There could be various other clauses, agreed by both parties at the signing of the Compromis but, other than these, the sale will go through. Hence the French system is not defined by the stress which seems to be inherent in so many other property markets in the world and, most particularly in that of the home-buying process in England. In France, you can be very confident that once your offer has been accepted, your finance is in place and the Compromis de Vente is signed, you will be able to move into your dream home in around three months. There may be many other uncertainties around buying property in France right now but certainly the actual buying process is not one of them.